100% ONLINE, OR IN A CLASSROOM? YOU DECIDE. On your couch? On the train? Lectures in a classroom? Wherever you want to study, save $800 now when you commit and pay $295 toward your $2,995 Final Decision Tuition. Hurry, offer ends Apr. 19th! What Bar Exam Would You Like To Study For? It starts with our hard-earned reputation among your fellow student and legal professionals. Ask any judge, attorney or law professor which bar review they took and they’ll tell you – BARBRI. That means something. We are the proven gold-standard in bar review. We’ve invented and re-invented bar review over the past 50 years to ensure we are the best partner when you decide to Own The Bar. Isaac is the engine that runs the BARBRI Bar Review Course. With 50 years of bar exam knowledge, it knows what can be tested and how frequently it is actually tested. Isaac takes that knowldge and looks at your progress to accurately teach what you need to know to ace your states exam. Don’t study everything, study what you don’t know! 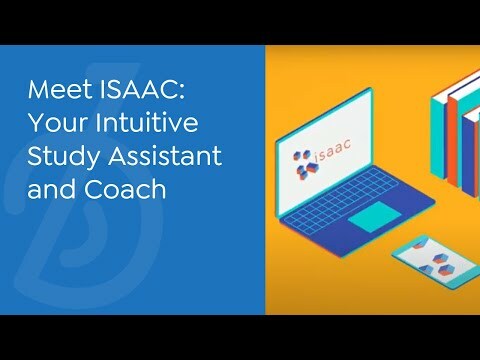 Isaac keeps adjusting your personal study plan because it knows what areas you are picking up quickly and where you need a little work. Don’t just pass the bar, Own the Bar! ISAAC creates your online Personal Study Plan (PSP). Your PSP is your daily to-do list during the BARBRI Bar Review course. It does all of the heavy lifting and there’s a reason for every assignment, activity and workshop. As you progress, ISAAC continuously adjusts your PSP, shifting focus from subjects you know well enough to pass the exam to the subjects that need more of your attention. As part of BARBRI Bar Review, you’ll get access to Early Start months before your course begins. Early Start is on-demand, self-directed and focuses on the 25 most frequently tested bar exam subtopics. Students who spend about 24 total study hours and complete 25 or more modules in Early Start prior to the start of their bar review course are statistically more likely to pass the bar exam, the first time. 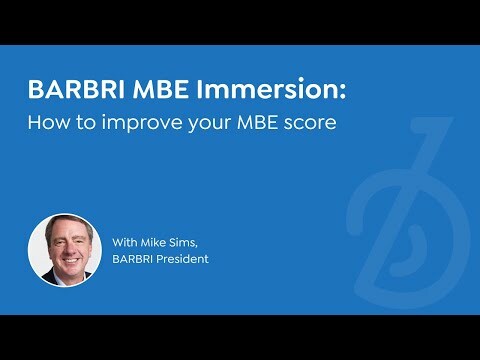 BARBRI’s Simulated MBE exposes you to the mental and physical rigors of the actual Multistate Bar Exam. In fact, just experiencing the simulation, regardless of your score, statistically increases your chances of passing the exam. Best of all, since the majority of bar takers study with BARBRI, your Pass Predictor score report tells you where you sit on the bar exam curve in every single topic and subtopic weeks before you sit the actual exam. This lets you know exactly where to focus your final weeks of study. BARBRI Directed Essay Grading starts with Essay Architect, the online instructor that gives immediate feedback to help you critically read bar exam essay questions and construct quality answers. After working with Essay Architect, you’ll submit a series of practice essays and performance tests for personalized feedback from trained bar exam writing experts. If you complete all of the assignments and want to do more, we’re always happy to grade more. After the BARBRI MBE Immersion deep dive, ISAAC curates learning & practice question sets that increase in difficulty over time. Initial questions build skills and knowledge of the most frequently tested rules. Then, you’ll work more difficult, mixed-subject question sets. Ultimately, you’ll have access to over 2,000 MBE practice questions. This entire process is designed to accelerate the pace you learn the law and successfully answer MBE questions. We don’t limit you to studying alone or force you to pay extra to attend a lecture. Each day, you decide. Stream a video, work a practice question online, or attend a classroom lecture. You know how you learn best. We give you the power to choose. The BARBRI Study Plan app is available for iOS and Android devices as part of your BARBRI Bar Review purchase and experience. Search “BARBRI Study Plan” in the App Store or Google Play and log in with your active BARBRI account information. BARBRI is known for superior written materials which fall into 3 categories: Outlines, Lecture Handouts and Practice Activities. Each work hand-in-hand with your BARBRI Personal Study Plan (PSP). Outlines includes the condensed Conviser Mini Review (CMR) and the more expansive State and Multistate Outlines. Lecture Handouts are designed to help you retain information learned during lectures. Practice Activities include multiple choice questions and essays and performance tests. The BARBRI LawMaster Study Keys app helps you move beyond mere memorization into learning and mastery. LawMaster Study Keys bring together Rules, the Elements that comprise those rules AND a Story to apply to those Rules and Elements. Connecting rules to elements and a story is the key to really learning and mastering the law. The LawMaster Study Keys app is available for iOS and Android devices as part of your BARBRI Bar Review purchase and experience. Search “BARBRI LawMaster Study Keys” in the App Store or Google Play and log in with your active BARBRI account information. Toward the end of your BARBRI Bar Review course, ISAAC will present an MBE final prep comprised of 100 MBE questions recently released by the National Conference of Bar Examiners. Each question on this exam has been carefully selected by the experts at BARBRI to best align to areas of the law most likely to be tested on the MBE. 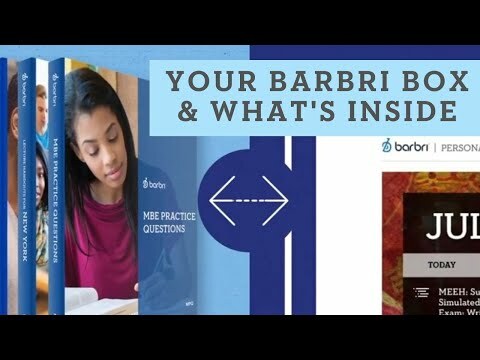 Best of all, every MBE final prep question will include an explanatory answer – which the bar examiners don’t always provide – created by BARBRI experts to help you understand why answer options were correct or incorrect, so that you can continue to progress on BARBRI’s MBE success learning path. The best course at the best price for students who commit today. BARBRI Attorney's Course: $2,695 For A Limited Time. Remember when studying for the bar exam was your full time job? Now that you are a licensed attorney with many commitments and responsibilities, you may be thinking that studying for another state bar exam sounds like an impossible feat. That's no longer the case. We've taken what we do best and rethought the process specifically for you – an attorney who comes with a wealth of skills and knowledge from having taken and passed a U.S. state bar exam. The BARBRI Attorney's Course is designed specifically for someone like you - an attorney who has previously taken and passed a U.S. state bar exam within the last 2 years. 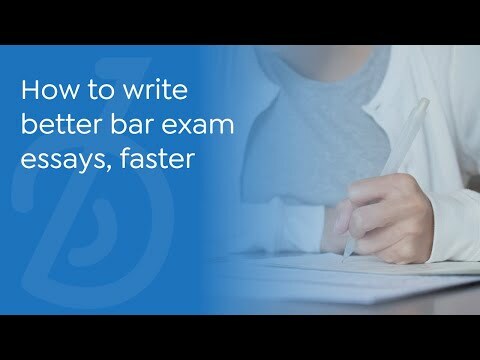 If you take a BARBRI Bar Review course for the first time for a particular state and you do not pass that state's bar exam or do not sit for that state's bar exam, you may repeat the same course online once for the same state the next time a course is offered without paying additional tuition. To enroll, choose your state, exam date and sign in using your BARBRI ID. The system will identify you as a Guarantee Student. Your repeat course is only available for the next exam offered and does not include any upgrades, including supplemental workshops or a second set of books. All guarantee students are entitled to new lecture handouts with their repeat course. If a new edition of books has been released, you must pay a $250 refundable book deposit plus shipping and handling fees to enroll in the repeat course and you will be shipped a new set of books. If the edition of books is the same as those used in your original course but you wish to receive another set of books, you must pay another $250 refundable book deposit plus shipping fees before books can be shipped to you. BARBRI Alumni: $2,695 FOR A LIMITED TIME FOR BARBRI ALUMNI PURCHASING THE TRADITIONAL BARBRI BAR REVIEW COURSE. If purchasing the traditional BARBRI Bar Review course to study for another state or if you are repeating a course as a BARBRI alumni student, you may take that course at the BARBRI Alumni price. To enroll, choose your state, exam date and sign in using your BARBRI ID. The system will identify you as a BARBRI Alumni. Refundable book deposit, book shipping and handling and taxes not included in price. The BARBRI Bar Exam Digest has all the information you need to know for every bar exam in every state. Creating the highest number of licensed attorneys every single year for over 50 years. Let’s not beat around the bush: studying for the bar is genuine torture; however, BARBRI was a godsend. While everyone knows the BARBRI materials are the gold-standard, I personally loved BARBRI because of the support I received from their legal faculty and staff. Despite having thousands of students, I felt like I was their only student. Whether it was texting Professor Richard Freer on a Saturday afternoon regarding a civil procedure query, or receiving a personal call from Mike Sims a week out from the exam to motivate me, I felt valued and unconditionally supported on the tough journey. I cannot sing BARBRI's praises enough. Thank you. BARBRI gives you all the tools you need for success on the bar exam. The thorough materials you receive at the beginning of the summer provide you with ample study guides and realistic practice materials. The daily study plan assures you that you are staying on track with your studying. This combination of well-developed tools allows you to feel as confident as you possibly can when you walk into the bar exam. BARBRI was an essential part of my success on those exam days. From day one, BARBRI AMP was a great primer to subjects I'd forgotten. The progress tracking tools kept me engaged throughout the study process. I was blown away by the MBE Review lectures; those professors knew exactly what to expect on the bar. I definitely put in the work, but the course was worth every penny! I was extremely satisfied with my experience in the course and ended up with a 167 MBE score. I really put a lot of faith in the BARBRI program and it paid off. Thanks again! This is truly the best program. I took Kaplan for the CO review and it was simply not up to par. I had to take the CO bar again and the second time took BARBRI. It made all the difference. I came to BARBRI after I had taken a bar review course from Themis. While they did have outlines, essays, and practice MBE questions as advertised, they did not match the quality and and detail of BARBRI’s study material. BARBRI’s advantage comes from the years of experience that goes into crafting a comprehensive curriculum. Most importantly, I never felt lost at any point of the process. Answers to essays and multiple choice questions were well explained. If I was really stumped, I could always count on the feedback from BARBRI graders. Having this peace of mind during the lead up to the bar exam allowed me to focus during the exam. My hats off to BARBRI. As a satisfied BARBRI customer, I will continue to preach the word. Not Required: Cancel any time before receiving course materials.